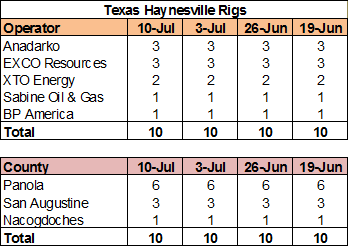 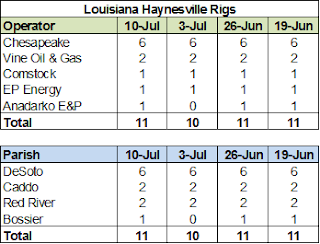 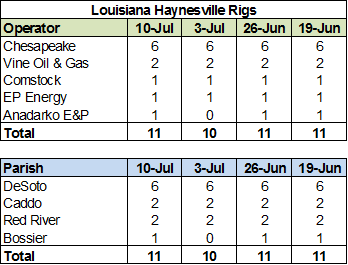 The Haynesville Shale rig count was up one this week as the Anadarko rig that briefly disappeared last week reemerged in Bossier Parish. 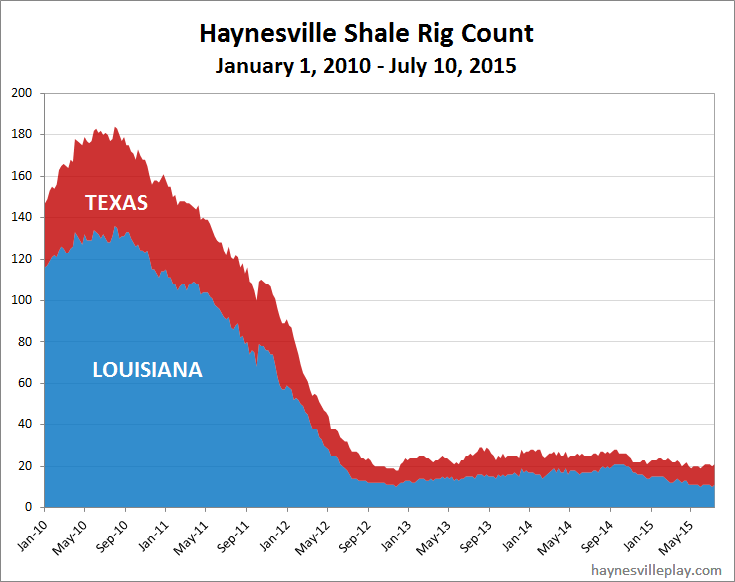 Will it be joined by more? Louisiana was up one to 11, while Texas held at 10.